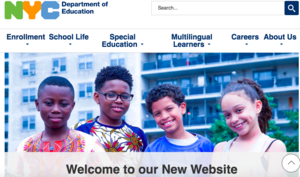 New York City Department of Education launches a new website! Students and families can’t be truly empowered without access to information about our schools, and the improved website means that information is now in one, easy-to-navigate location. Richard Carranza is the new chancellor of New York City schools, the biggest public system in the country, and he's just finished his first week on the job. How to Study for the SATs!